Do you know 85% of the pages in your online store are product pages? Do your product pages have enough content to attract search engines? Do your buyers know that you exist when searching using long-tail keywords? Boost your rankings, and get more buyers with compelling descriptions! 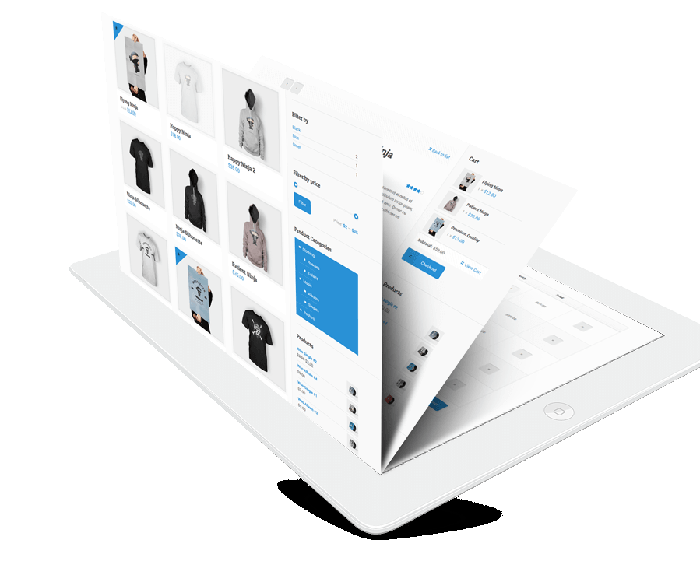 Your online store lacks content at the product level. The pages either have no content or use copied content. If your e-commerce site have a few thousand products in the catalogue, it is tricky to write content for all those listed products. Writing content wastes dozens of your precious time, and negatively impacts your growth if you have to hire your own copy writers. Get unique descriptions for products, real-estate properties, classifieds written in minutes. Try our One-Click -Content generation technology built on NLG engines. How do you want AdZis delivered to you? Click here if you are not a techie and do not have the time for this. Click here if all you need is a web app to generate product descriptions. Click here if you want to integerate AdZis into your CMS. AdZis helped an early-stage tour portal to improve content density and semantic similarity. Thus helping them to regain the SEO ranks of each of its product pages. To read the complete case study click here. How AdZis improved content quality? The semantic similarity of the pages after content optimization came down to 45% compared to 95% before. Just 1/10th of the cost of worker salaries. Reliable Results: Descriptions will be proofread by subject matter experts. Smooth Process / Technical Support: We do the work for you. All you have to do is either (1) email us the catalog and upload the catalog back after completion or (2) create a staff account for our team to do the work for you. Guaranteed Quality: You get 2-3 free revisions. We are Startup/SMB friendly: We work mostly with startups and SMBs. AI generated descriptions by AdZis are always proofread by experts before delivery. We ensure that we comply with the agreed quality standards all the time. Product descriptions are generated by our AI algorithms using completely random parameters and hence will not be the same. We also ensure that the descriptions are unique by running a semantic similarity/plagiarism check before delivering to clients. In addition to this, we have subject matter experts to check the quality, relevance and mistakes in the content. Should there be any issue once the work is done? Our delivery process is smooth, with a well documented workflow. So there will not be any bad surprises for you. If your concern is about revisions, then we accept two revision requests and replace descriptions that the customer flags as inappropriate (this normally won’t happen since our proofreading team won’t let that to). Why should I go for AdZis when I can get a cheaper writer in Fiverr or some other country? We hear this more often. This is because most of the business owners get carried away by the thought that they get cheaper writers. Mostly because they are confused between cost per word and cost per description. May be, you should do the calculation by counting the expected number of words per description and multiply that with their Cost-Per-Word. There are a few AI tools that can write descriptions on the fly. They are cheaper too. These tools are built on a simple principle called "canned text patterns". These are just a set of few patterns that get its variables rewritten based on a lexicon. This is a rigid and closed process. The number of sentences that can be created using these patterns are limited. In the sense that you will end up using the same description that somebody else has also created using the same tool. There is no AI or NLG involved in these tools. It's purely a script that can pick patterns and words. AdZis is built on a four year old technology that we acquired from Contentop. Contentop was one of the top 5 emerging NLG startups in India. Now, it is upto your common sense to decide. By the way, do you have the time to map each attributes of your 300 product catalog to their respective variables as required by these tools? Can't I copy & use someone else’s product description to sell my item on my online store? Never do that. Duplicate content penalty is more fatal than a cannibalized page. In the case of duplicate content you get penalized. This is more dangerous than leaving your product pages without content by keeping your pages out of the search index. Atleast, it is better to not rank than to geting your whole website go out of search engines. It is because when search engines slap a penalty, it affects the complete site, not just those pages with a problem. This is not the case for cannibalization. Contact us for a Demo on how to make your eBusiness future-proof. Fill out the form below and we will reach out to you to show you how AdZis can help your eBusiness scale faster with one-click-content generation technology.